From the moment I put my first baby to the breast, the advice started. Nurses, doctors, lactation consultants, relatives, friends, strangers, instructional books, discussions on the Internet, support groups, my dissatisfied baby; they all had something important for me to make sure I followed! I didn’t know it right away, but some information was helpful and would be essential to continuing my breastfeeding relationship with my baby. And other advice, strict rules, warnings, and “helpful” suggestions, if attempted, could have resulted in more challenges and possibly the end of breastfeeding for me. I feel fortunate that I was able to wade through all of the contradicting resources and find the information that was helpful for me. It’s frustrating, but sometimes the professionals who you would think you should trust the most can be the most harmful by providing incorrect information. 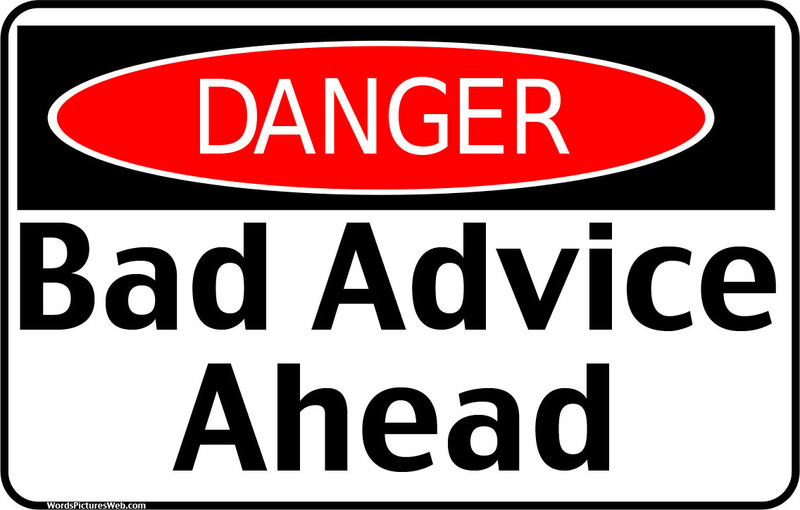 To initially manage the influx of advice, it can be helpful to consider everyone, no matter the credentials, as a resource you are consulting, not the final expert! “Yes, I can prescribe that, but I would just stop breastfeeding,” suggested by an OB. “In our practice, we don’t clip a tongue-tie until breastfeeding fails.” In this case, breastfeeding was on the verge of failing. “He’s not gaining weight because he’s probably anemic from not giving him an iron supplement.” This baby had an undiagnosed tongue-tie. “Many moms like to take a weekend at a hotel and leave baby with family.” This was suggested for a one-week-old. “Your NICU baby will never be able to nurse and you could never keep up pumping, so why bother?” This baby did breastfeed, and this mom had thousands of ounces in extra milk to donate to other babies while feeding her own baby. “Breastmilk won’t help jaundice. Give the baby formula in a bottle, 60mls, every two hours to flush it out.” This baby was two days old. “You’re doing it wrong, and when you’re open to help, let me know.” Breastfeeding was actually going well. “Yeah, it will probably hurt for the first few weeks until you get used to it.” This baby had an undiagnosed tongue-tie. “I’m sure your latch is fine.” The LC wasn’t watching the baby nurse! “You are overfeeding and that’s why your daughter is spitting and has gas. You should nurse her less.” Actually the mom had overactive let-down and oversupply. “Make sure you hold your breast down with your finger so she doesn’t suffocate.” This led to mastitis. These statements aren’t shared to discourage you from seeking help. In some cases, you may not be sure why the advice is unhelpful and may need to research to find out more about certain breastfeeding challenges. However, being knowledgable that credentials or experience do not always equal expert knowledge about breastfeeding can help you discern where to find your information. Where do you find the accurate and appropriate breastfeeding information? If possible, start your research during pregnancy. Find a local La Leche League, Breastfeeding USA, or other breastfeeding-focused group. Go to the meetings, socialize with the women, and find out which professionals in your area are truly helpful. If you’re unable to find recommended local help for your questions, consider checking with well-trusted websites. Some good examples include http://www.llli.org, https://breastfeedingusa.org, and http://kellymom.com. Join online breastfeeding support groups to gain broad feedback about your questions. If you choose to follow advice, do your own research before making a change. This is when you’ve hopefully already found a recommended IBCLC or other professional you can trust to help you with finding evidence-based research. Another step toward a successful breastfeeding relationship is to listen to yourself. Are you trying to make a change because you are truly worried or because other people are telling you to be worried? On the other side, are you ignoring a possible problem because you honestly feel everything is fine or because others are reassuring you all is well? Listen to yourself and listen to professionals who speak to your instinct. Follow up your decisions by checking on evidence-based research, and you can feel confident you are taking the right steps! I want to add a disclaimer for women, who for any reason, are not breastfeeding their babies. Wether you made the decision to not breastfeed, you were unable to find adequate support, you have a unique health status that affects breastfeeding, or if all of your hard work to make breastfeeding happen did not result in a nursing baby, you are an absolutely awesome mom who loves her baby! While this post is about helping mothers find success in breastfeeding, it is not meant to imply any negativity toward those who do not breastfeed. All moms and all mothering styles need support and respect! This entry was posted in Uncategorized and tagged baby, breastfeeding, breastfeeding challenges, breastfeeding help, breastfeeding support, lactation, lactation counselor, lactation help, mother, mothering, newborn, nursing on April 23, 2014 by daphnejflowers. which carries tons of useful information, thanks for providing these kinds of statistics.